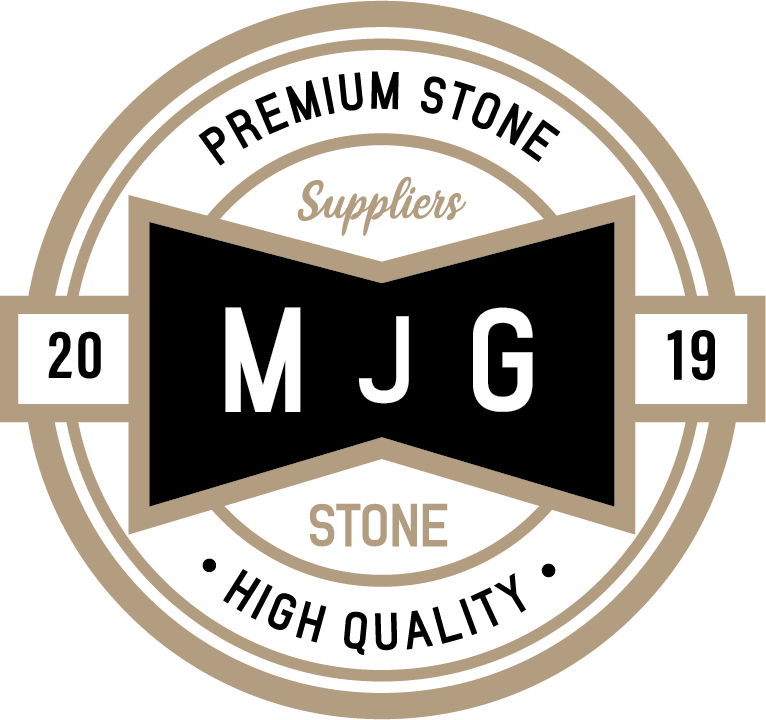 A special product from the LITHOFIN-Range for marble, natural and engineered stone (MN). Lithofin MN Polish Cream is based on natural waxes, special additives and maintenance components, which is low on organic solvents. 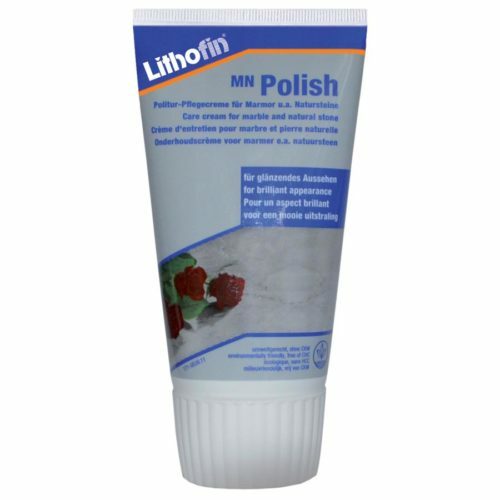 Lithofin MN Polish Cream is a care product which penetrates into the surface of the stone and enhances the colour structure. With regular use, the surface can be polished to a high gloss. Surfaces become less sensitive to staining, scratches and similar blemishes. 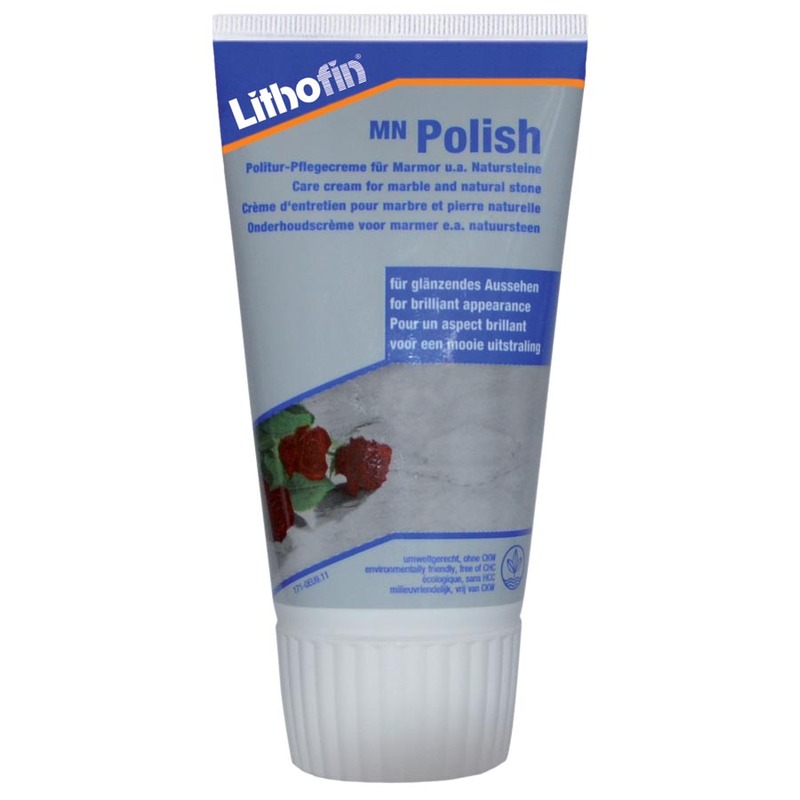 Used regularly, Lithofin MN Polish Cream is the optimal care treatment for marble, granite and other natural stones. For freshening up the polish and for protecting polished natural stone surfaces, especially marble. For touching up dull areas on marble. 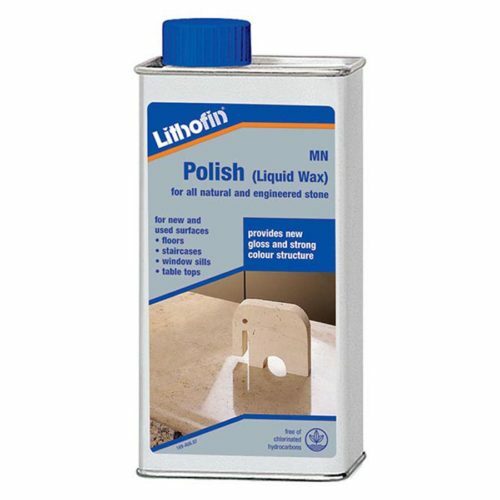 Lithofin MN Polish is highly suitable for polishing small areas such as window sills, vanity tops, kitchen work tops and similar indoor surfaces. 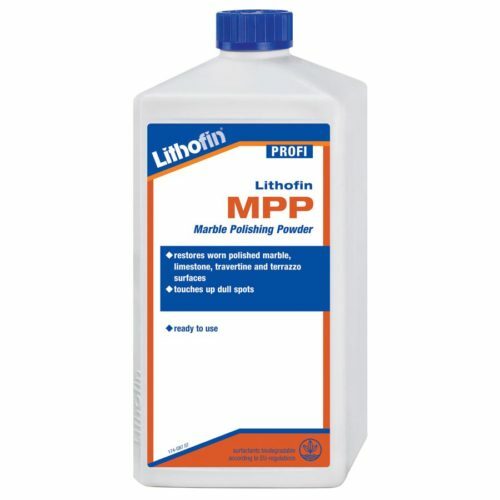 Please Note: on large surfaces use Lithofin MN Polish (liquid wax). Evenly apply Lithofin MN Polish in circular motions using a cloth. Work in small controlled sections. After max. two minutes polish the surface with a soft cloth. Please Note: if the product is left on the surface for too long, it becomes difficult to polish. In this case, reapply Lithofin MN Polish Cream and polish immediately. For regular maintenance use Lithofin MN Easy-Care. C, keep tin firmly closed. Shelf life of up to 2 years. Contains solvents, free of chlorinated hydrocarbons. Surfactants are biodegradable according to EURegulations. Disposal: 500ml containers are made of environmentally friendly tin plate, 150ml tubes are made of environmentally friendly polyropylene (PP). Clean containers can be recycled through collection system. No health concerns once dried according to studies of FMPA (Forschungs- und Materialprüfungsanstalt Baden-Württemberg). Labelling according to EU-Directive 1272/2008(CLP): None.